Go to the graphql-binding GitHub repo. 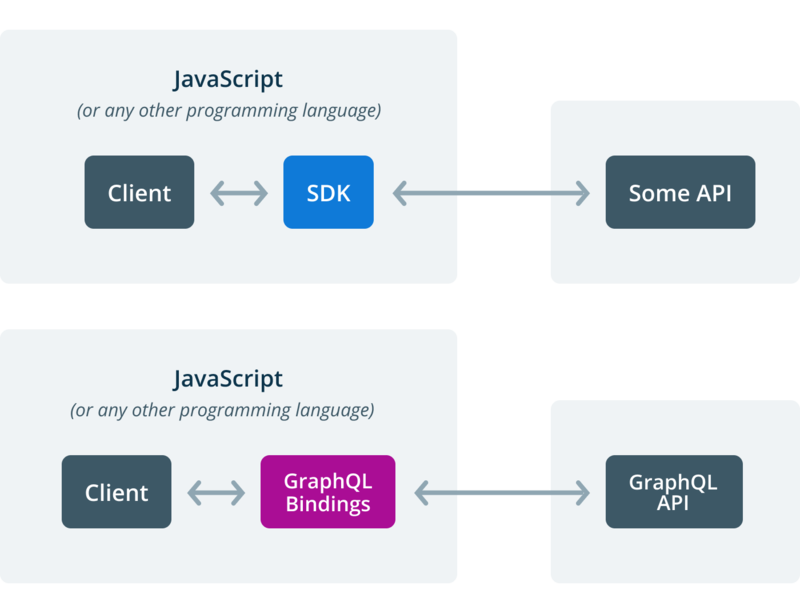 In this blog post, you’ll learn what GraphQL bindings are, how to use them as well as how you can create your own GraphQL binding. GraphQL bindings provide a convenient way for interacting with a GraphQL API: Instead of sending queries as strings via HTTP, you invoke a binding function which constructs the query and sends it to the GraphQL server for you. 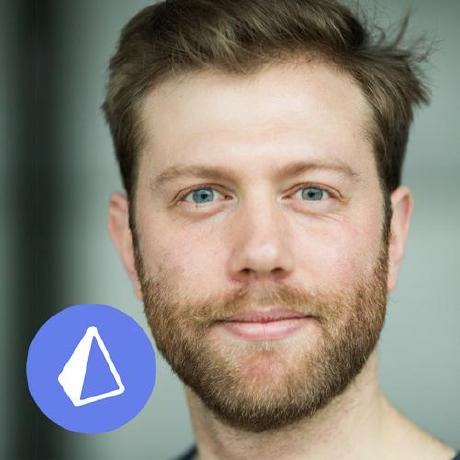 The best thing about GraphQL bindings is that they’re automatically generated, meaning they effectively come for free — think of them like an auto-generated SDK for a specific GraphQL API. How to use GraphQL Bindings? Let’s also assume this GraphQL API would be available as a GraphQL binding through an NPM package called graphql-binding-users. The easiest way to use GraphQL bindings is with a simple Node script. In these cases, the binding is used as a convenient way to interact with a GraphQL API. Using bindings in statically typed languages even allows to have typed inputs and outputs for the binding functions which allows for further features like autocompletion and compile-time error checking. When building gateways for GraphQL-based microservices, bindings are especially helpful. In the previous example, you have seen binding functions where the selection sets for the constructed operations were passed as (static) strings. 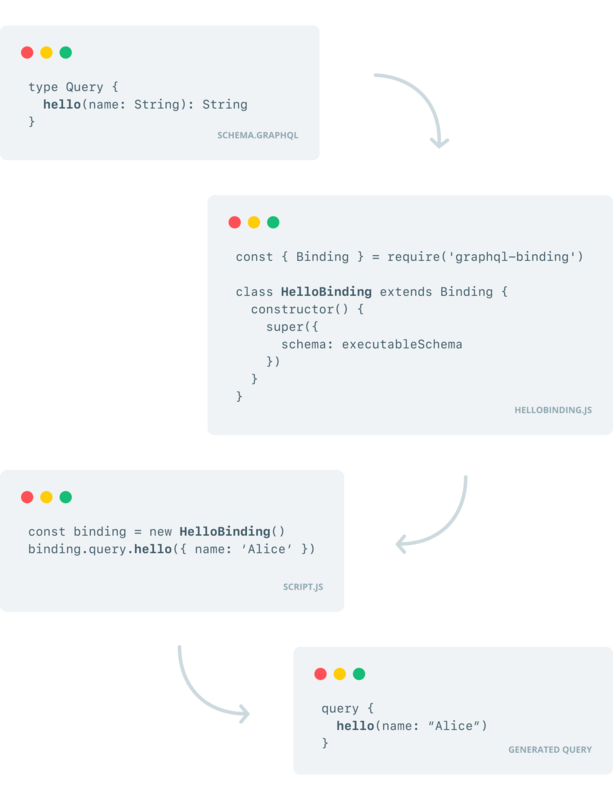 For the current use case of a GraphQL gateway, the binding API allows to generate the selection set dynamically by passing on the info argument of the GraphQL resolvers. 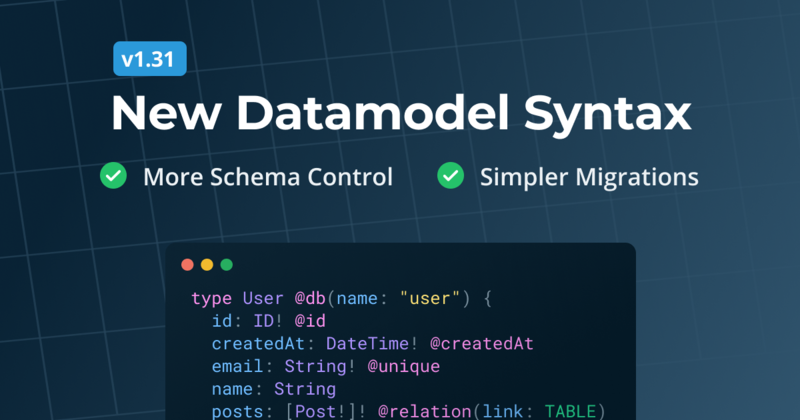 The API defined by this schema allows to retrieve a single User by their id and create new Users with random names. The major difference compared to the previous usage scenario is that this time the selection set is not hardcoded any more — instead it’s determined based on the selection set of the incoming query. The info object carries the AST of the incoming query, so it “knows” the requested fields from the selection set. 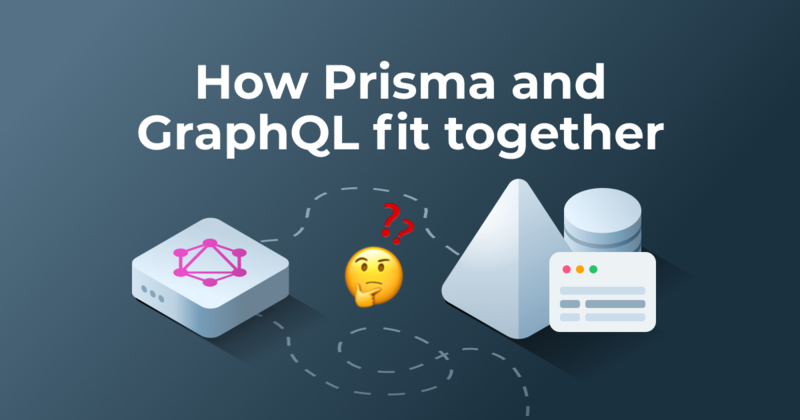 Because the operations in the gateway layer are both of type User and the ones in the underlying GraphQL API are of type User as well, the query can be delegated by simply passing on the info object. How to create your own GraphQL Binding? Let’s now discuss how you can actually create your own bindings (which for example could then be shared via NPM). 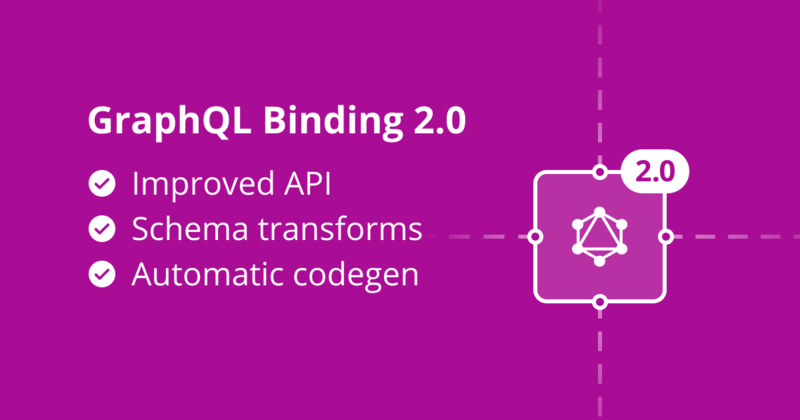 To create your own binding, you need to extend the Binding class from the graphql-binding package and provide an executable instance of GraphQLSchema. Your Binding subclass will then expose all operations from the executable schema as binding functions. In this example, the gateway server will use an executable schema that’s implemented locally in the (instead of referring to a deployed GraphQL API). createPost(title: String!, content: String!, published: Boolean): Post! post-service/src/schema.js : Creates and exports the executable GraphQLSchema object (by providing a schema definition and implementing corresponding GraphQL resolvers). gateway/src/PostBinding.js: Creates and exports the PostBinding class which extends the Binding class from graphql-binding. 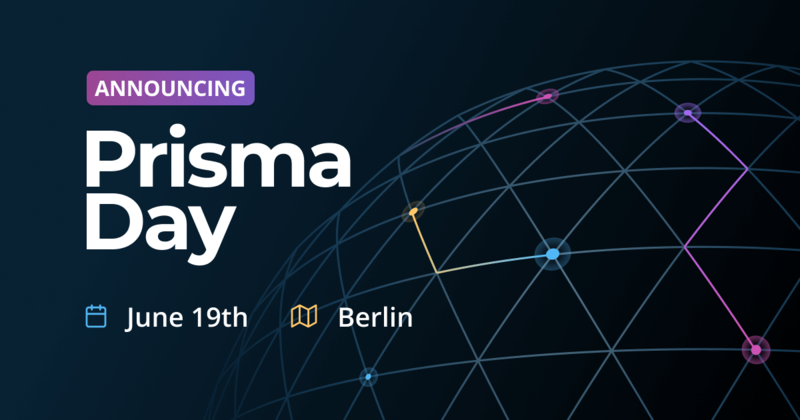 gateway/src/index.js: Implements the GraphQL gateway server by delegating all requests to the underlying microservice using PostBinding. In the first example, the executable schema was created by providing a schema definition and matching resolvers. In this section, we’re going to create a remote executable schema which requires the URL of a deployed GraphQL API. In this example, we’re adding another GraphQL-based microservice to be consumed by the gateway and create a new abstraction which makes it a bit easier to create a GraphQL binding based on a deployed GraphQL API.